Blitzbokke newcomer Impi Visser is relishing his chance to play in his first ever Sevens World Series campaign starting in Dubai this weekend. The mechanical engineering side of Impi Visser has taught him to be patient, scientific and pragmatic and to trust the construction of designs. 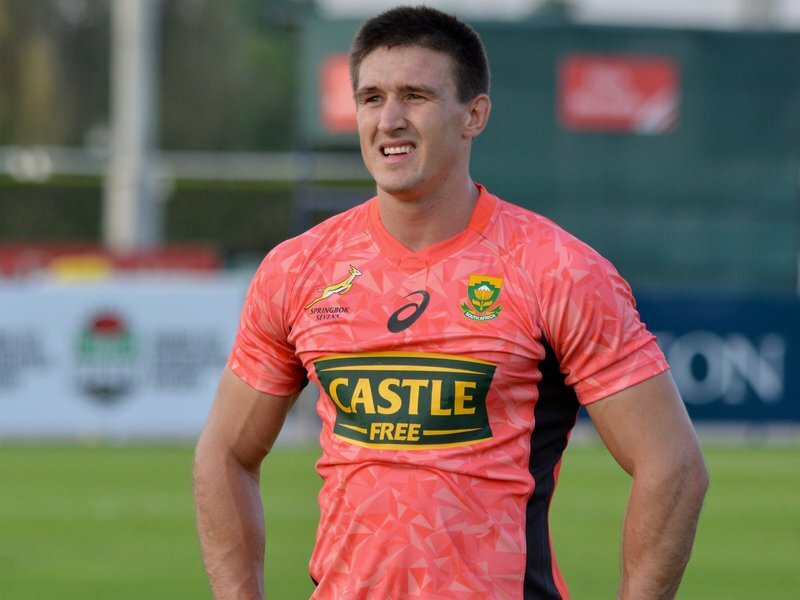 So when the 23-year-old graduate takes to the field for his country at the Emirates Airline Dubai Sevens on Friday, those traits will be present, but added to that will be massive pride and passion in wearing the Green and Gold of the Springbok Sevens. The Mpumalanga-raised warrior (the English translation of his name) will be the only debutant for the Blitzboks when the 2018/19 HSBC World Rugby Sevens Series kicks off at The Sevens Stadium on the outskirts of Dubai, but that will not take anything away from his effort or contribution, the smiling Visser said. “It was a dream of mine to play in the Green and Gold and now it will come true,” said the former University of Pretoria student. Visser picked up a serious ankle injury in January playing for the SA Rugby Sevens Academy in South America and also relocated from Pretoria to Stellenbosch, where he just completed his final year of studies. A centre in fifteens – he represented the University of Pretoria when they claimed the FNB Varsity Cup title in 2017 – Visser is used as a forward in sevens, and he is clear on his role and responsibilities come the opening match in Pool A against Zimbabwe. The team environment will aid him, he believes. “This is just an amazing group of guys,” he said. Building a steam turbine is one thing, building phases and setting up rucks to create space is another. “Coach Neil (Powell) always stresses on the importance of doing your job in the team, to fulfil your responsibilities in the team,” said Visser. The Blitzboks are top seeds at the tournament, where they claimed the Emirates Trophy last year. They face Zimbabwe, Samoa and Argentina on Friday.